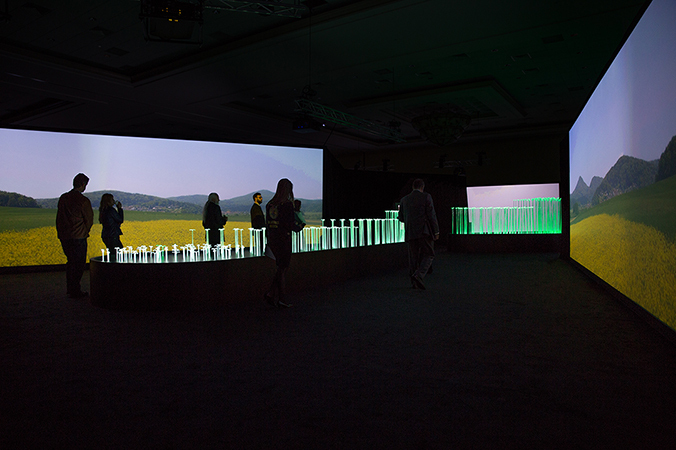 Sponsored by the global animal nutrition company, Alltech, ‘ONE Vision’ is digital exhibition that showcases a vision for the future of food production around the globe. 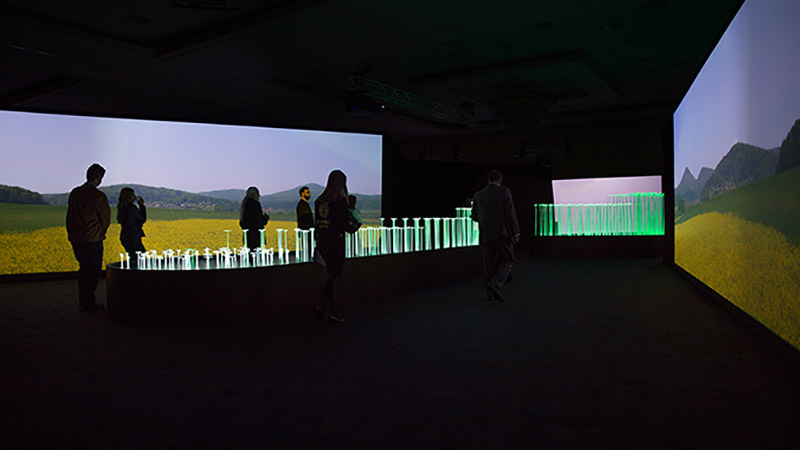 With dramatic 3D animations and compelling interactive content, the exhibition presents a vision of the world in 2050, when technology and science have aligned to produce nutritious food for the planet’s nine billion people. 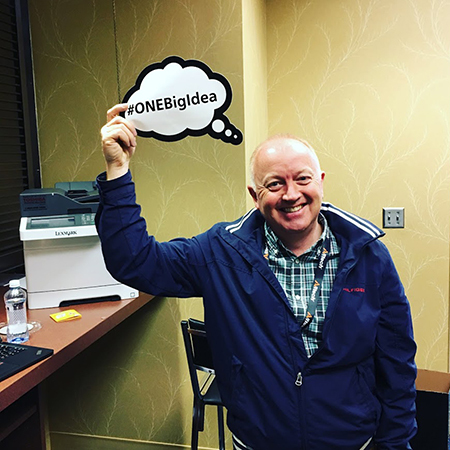 One Vision then poses the question ‘how can we get here?’ and examines the ways in which individual food producers and consumers can help realise the vision in a safe, sustainable, scalable way. Noho researched, designed, wrote and produced all content for this 10,000 sq. 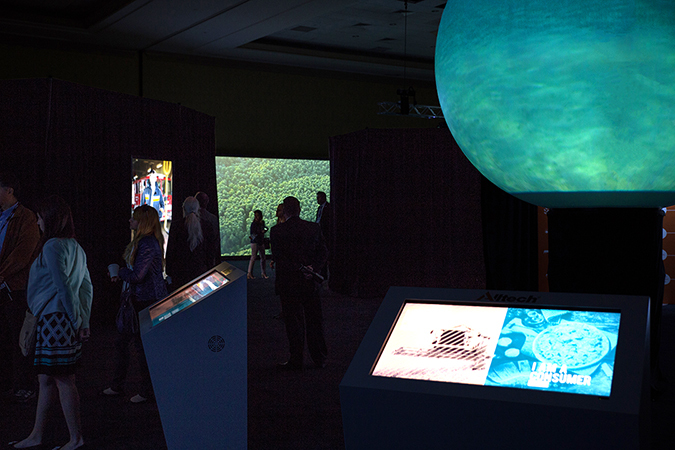 ft. exhibition, including three cinema-like video projections, seven interactive touchscreens, two react tables, an immersive video cave, a 360-degree video projection sphere. 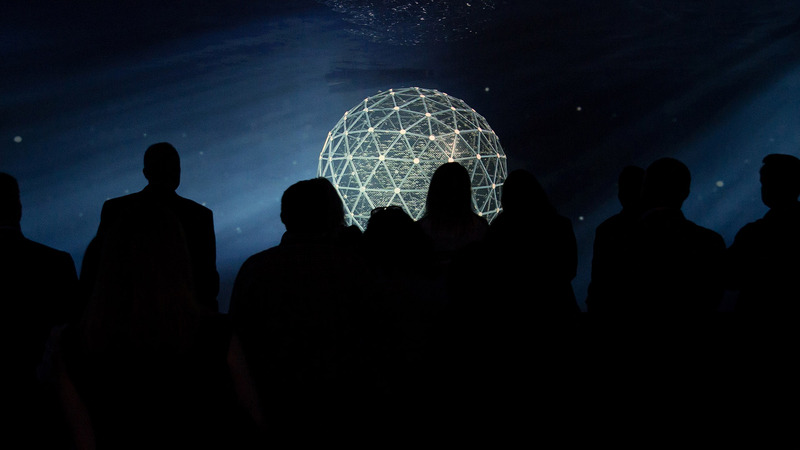 The experience also featured swathes of ambient fibre-optic crops that change colour and animate in time with the immersive films, an ‘infinity room’ that used projections and mirrors to provide the illusion of endless plates of food, and a debating chamber where six characters debate the future of food and our planet. 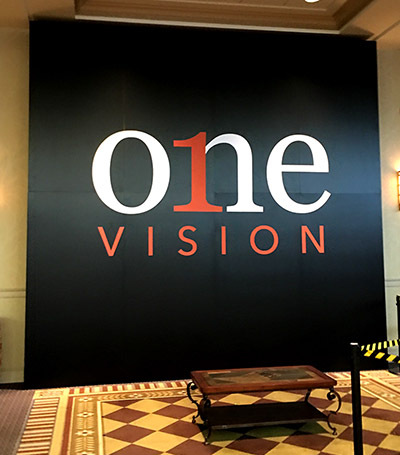 We worked closely with Lotus Media to deliver the exhibition at the ‘One – Alltech Ideas Conference’ in Lexington Kentucky last May. 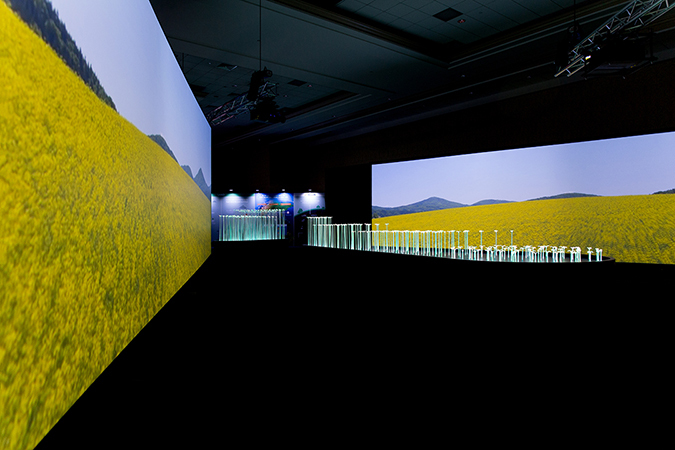 The exhibition has been re-configured for this year’s event.